So I happened to stumble upon this article on Good titled Six Tips to Become a Craft Show Superstar and thought that in honor of the fact that I am at this very moment shopping Craftstraganza (give me a whoo hoo for scheduled posts) I'd share the article with all of you. I'll update you later today on all the goodness I found at the show. Also, although I'm going to be out of town next weekend, I think all you locals who can, should head to uptown for Handmade MN's Spring Market. It's their first big show together and looks like it's going to be fabulous. I really wish I could make it. For more information check out the Handmade Mn blog here. 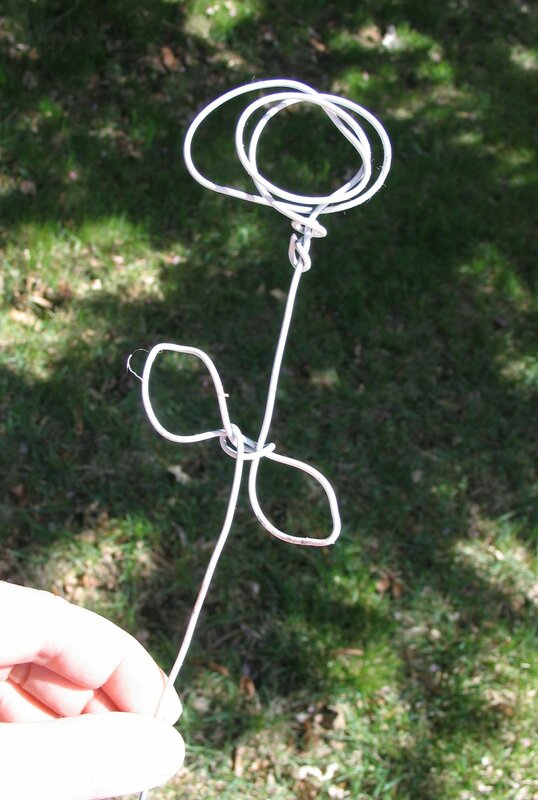 Hi Jen, I just bought one of your beautiful flower wire stand! I am so excited because you're indeed, very talented! Thank you (and thank Cristi, for she kindly introduced me to your blog). Thank you Gina!!! I was just going to go package it up when I decided to check the blog first. I appreciate it so much whenever someone purchases one of my pieces. I will definitely go say thanks to Cristi too!